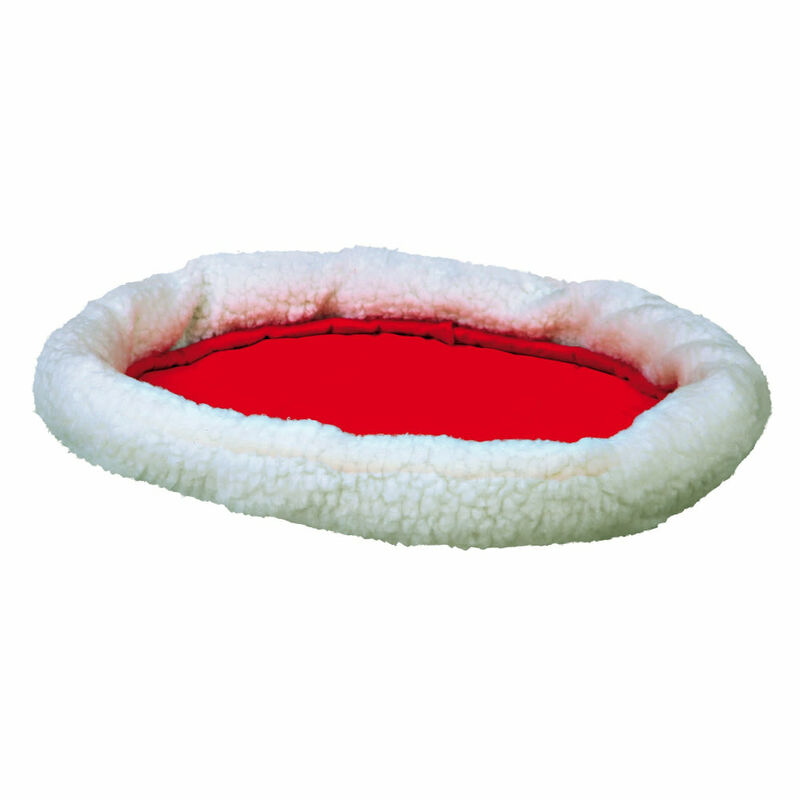 The Trixie Cuddly Bed has a lamb fur/nylon look. 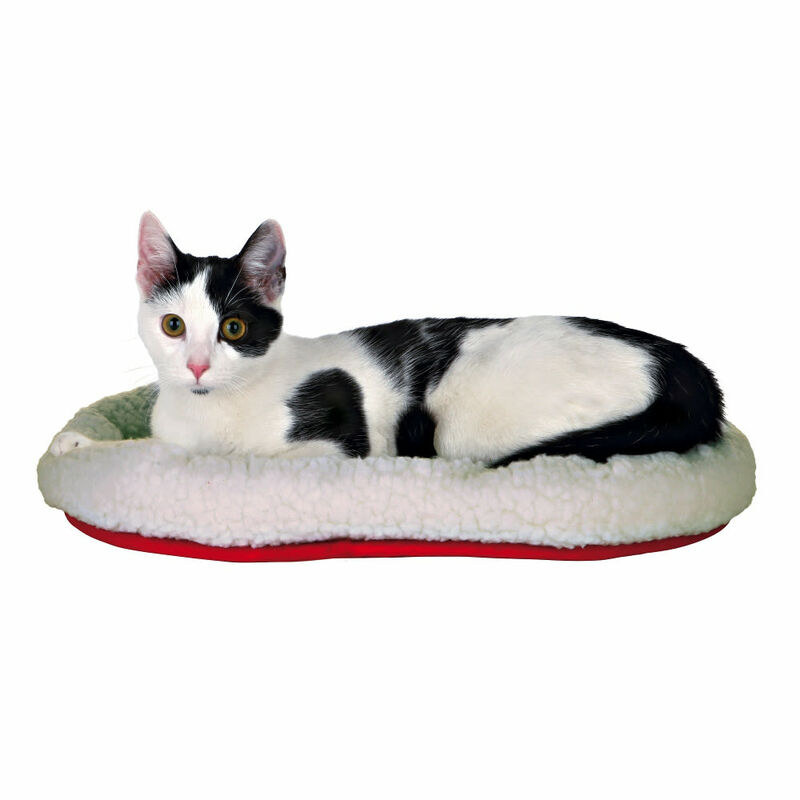 This reversible bed has two different surfaces to suit your cat’s mood. one side nylon, the other side warm and insulating faux lamb's fur. My smallest cat immediately hopped into this,it fits her very snugly. I've put it next to a radiator; but it gets borrowed by my larger cat as well! 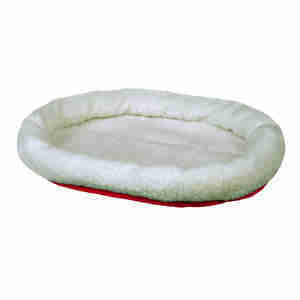 My cats love these beds! My cat Buttons loves her new bed. Wasn't sure she would use a bed but having placed it in her favourite spot by the radiator, she jumped in right away!